Is there really a digital talent shortage? YES! A recent study conducted by LinkedIn and CapGemini found that a digital skills gap is impacting 54% of the businesses surveyed. With increased competition for digital talent, traditional methods are no longer sufficient. Demand will continue to increase within each organization and prospective candidates will be pursued many times over by potential employers. what makes RPO (recruitment process outsourcing) a top choice for recruiting talent in the digital space. 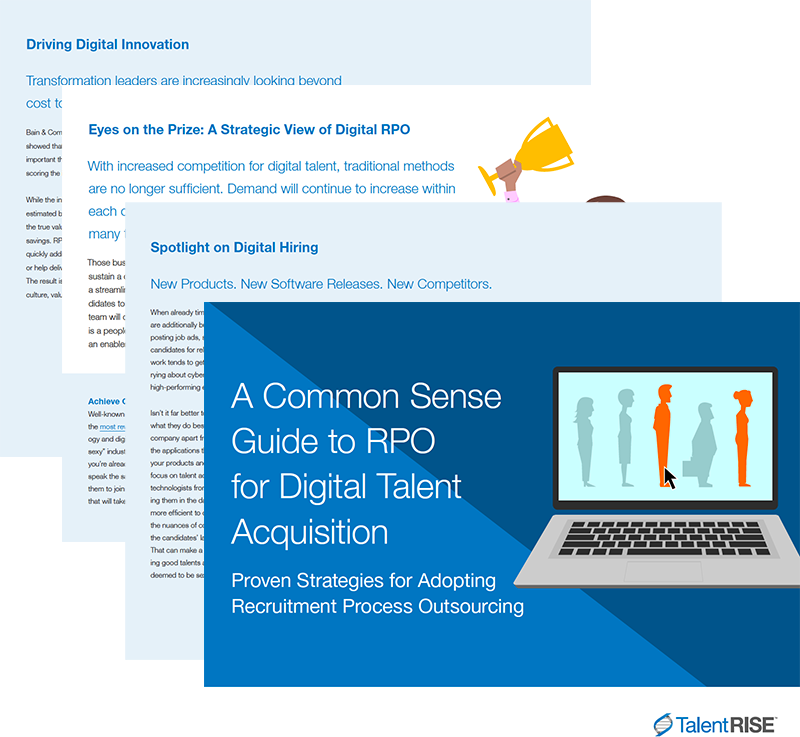 Download the eBook to understand how RPO works and why it might be the best option for recruiting top digital talent for your organization.